Cards arrive in Italy in medieval times. From Sicily they quickly spread to the rest of the country and to north Europe. The craze is so strong that a Parisian edict from 1377 forbids the game during working days to avoid distractions. From the very beginning the iconography matches the society of the times: the deck is stacked with kings and queens and knaves, often used in a mocking way. For example in many games the queen becomes more powerful than the king, implying his weakness. During the French revolution the people take over and the lower cards (aces and threes) become the strongest of the deck, "cutting the head" off the royals of the times. Since then the number of games grows exponentially, hence the need for new decks. Trieste enters among the authorized printing places. During the XIX century, the city becomes a small Vegas by-the-sea. Merchants and entrepreneurs are enchanted with its tolerant atmosphere, and decide to establish new activities. That’s how, in 1868, Saul David Modiano launches his rolling paper manufacturing, elegant products that wink at the Austrian aristocracy. An elegant, masterfully illustrated product that enjoys great success. In 1884, Saul decides to leverage these skills in printing playing cards. His graphics are phenomenal, and soon they’re the object of desire of any international player. Modiano illustrators celebrate the myths of cards, smoke, and frontier towns, creating a unique lifestyle. 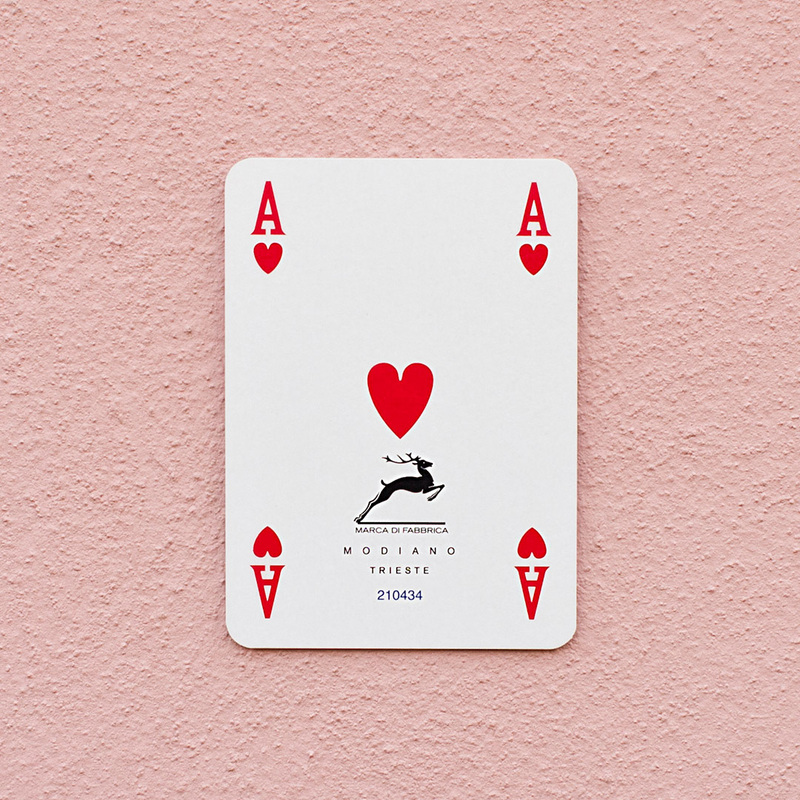 Today the company continues to produce in Trieste’s factories, nailing down important commissions like supplying the world’s poker tournament: 50,000 special decks, proofed against the lenses and micro-cameras that modern day cheats use to boost their luck.